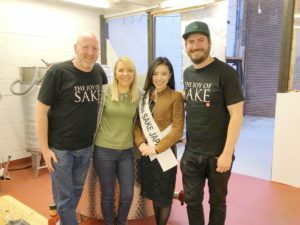 1 Asami Sudo, 2018 Miss SAKE, visited “KANPAI – London Craft Sake Brewery,” the first sake brewery in the UK. 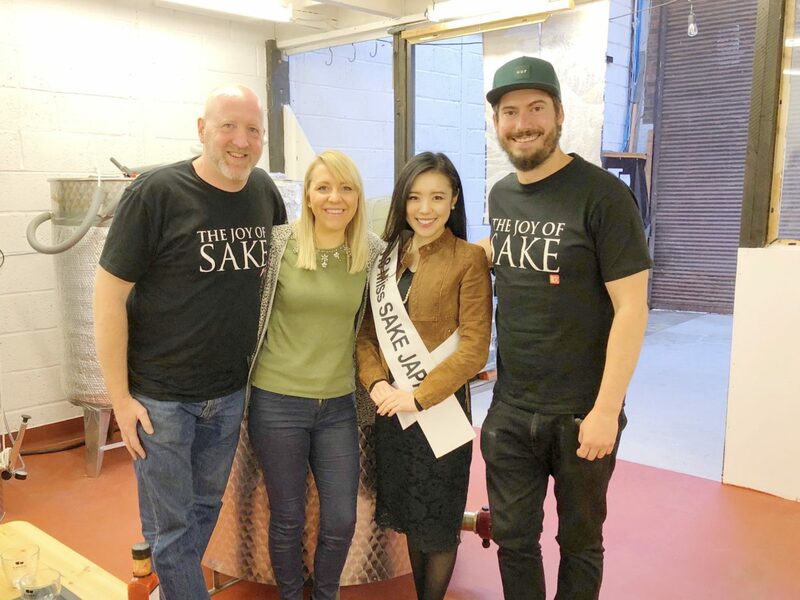 Asami Sudo, 2018 Miss SAKE, visited “KANPAI – London Craft Sake Brewery,” the first sake brewery in the UK. 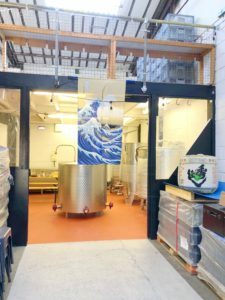 On September 29th, I visited “KANPAI – London Craft Sake Brewery,” the first sake brewery in the UK with Mr. Chris Johnson, one of the 8th SAKE Samurais. 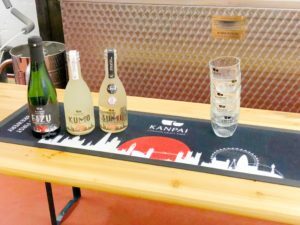 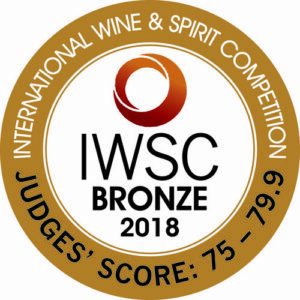 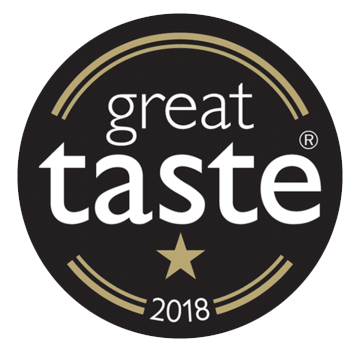 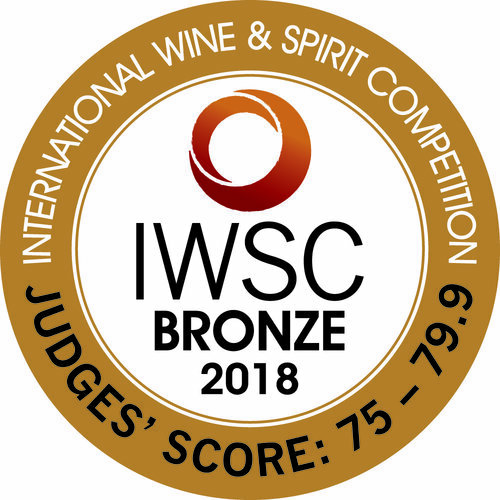 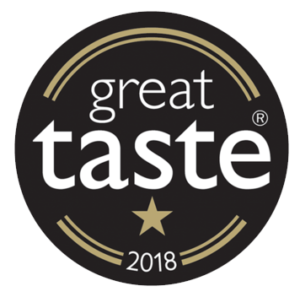 KANPAI was founded in 2017 by Mr. Tom Wilson and Mrs. Lucy Wilson, who were fascinated by the attractions of SAKE during their travel in Japan in 2014. This time, we had a chance to look inside the brewery and taste their SAKE while listening to their stories so far. Their past image of SAKE as “something coarse and strong” drastically changed after they enjoyed sophisticated taste of real SAKE. 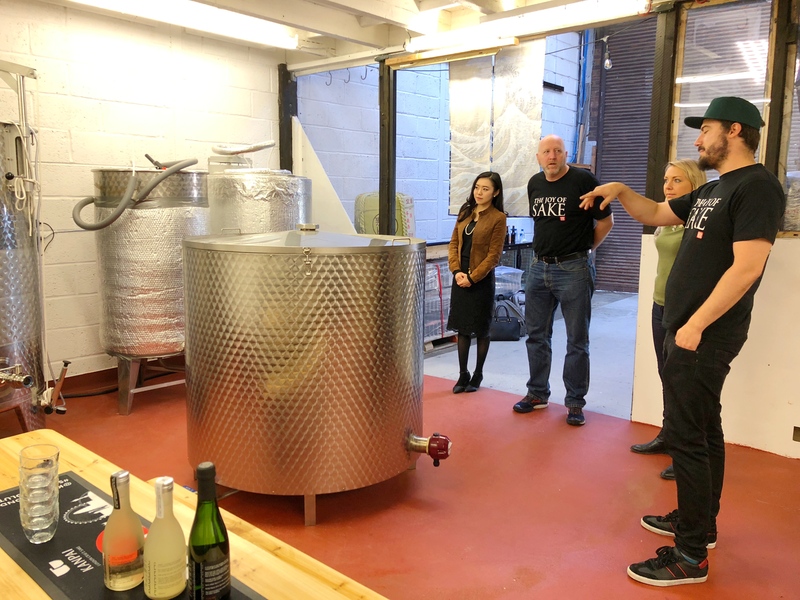 The experience made them eager to brew and taste real one at home, too. Since then, their challenge to found the first SAKE brewery in the U.K. began. 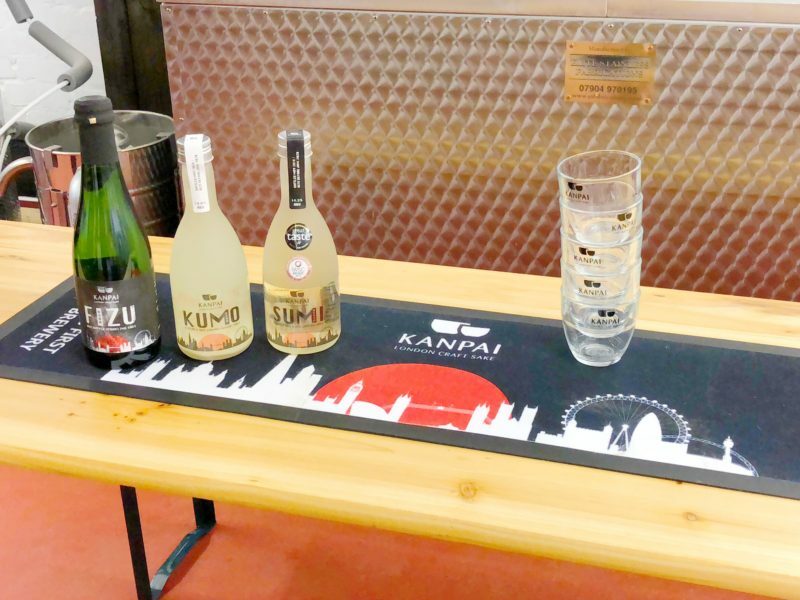 KANPAI, which is the result of their trial and error over years, has gathered lots of attention in the UK, and it’s now expanding their business with the success of crowdfunding. Their stories of the long way to realize the first sake brewery in the UK taught us how much passion and energy they’ve had for SAKE. 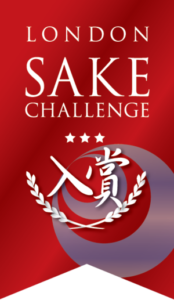 Perhaps, the attractions of SAKE, which fascinated them to the extent, may be somewhat different from what we think attractive as our own culture. 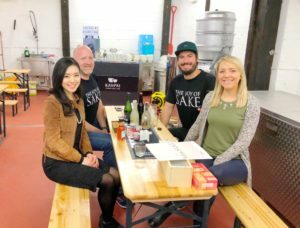 But, this is why foreign people’s positive activities just as Mr. and Mrs. Wilson’s are important for overseas development of SAKE. 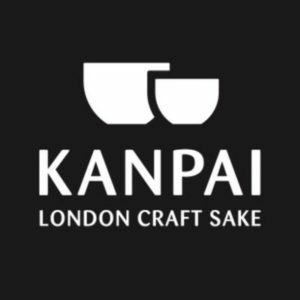 The experience of visiting KANPAI and seeing their strong energy and passion made me convinced of and looking forward to the bright future of SAKE in London. 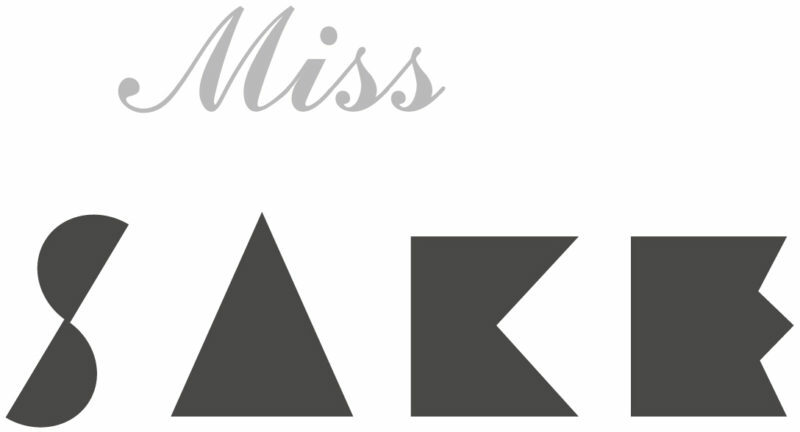 I extend my deep appreciation to Mr. and Mrs. Wilson, and wish them continued success.